sewmuchchoice | Sewing, knitting and general craftiness! Right at the start of the year I boldly entered into the sewlutions jar with the statement “I aim to have 75% of my wardrobe made by me by the end of 2013” so with a matter of hours to spare…how have I done? 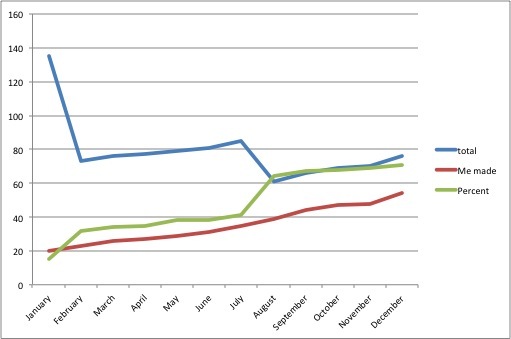 Being a behaviour analyst as my day job I love using graphs so I thought I would demonstrate my progress graphically to show progress throughout the year because I realised soon on that this sewlution relied on steady progress. So what does all this mean? Firstly and probably most importantly I did not achieve my goal. I started the year with a wardrobe that was 15% made by me and I am finishing with 71% made by me…this is still an increase of 56%! I made steady progress throughout the year with two big jumps in february and july, this is because I had wardrobe sort outs at this point and cleared out a lot for charity shops or refashions. I had a massive shock at the start of the year when I found out I had 135 items of clothing in my wardrobe…who really needs that many clothes (there were certainly items in there that i did not wear). At the end of the year I have 77 items in total, 54 of which are made by me. 1) I have a tendency to over commit myself! 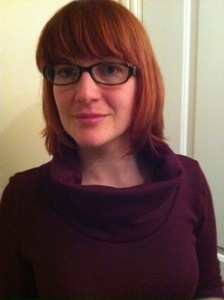 3) I have finally sewn knit fabrics, making five (yes five!!!) skater dresses and four renfrews. I have no idea why I found this so terrifying now but it is a great fabric for wardrobe staples. 4) I still haven’t managed to make a pair of trousers, they truly terrify me especially after the sewing disaster with trousers for Si. 5) I love colour and choosing the colour palette helped focus my fabric selections and also meant that everything sort of co-ordinates in my wardrobe meaning I could seriously cut down on the number of clothes I have. 6) Getting dressed from a smaller selection of clothes is so much easier!!! Choice can sometimes be overwhelming. The skater dress has been my big favourite this year and the tiger fabric on this makes it a winner. Every time I got out my crochet blanket Little One would make a beeline for it and make herself nice and comfy whilst I worked on it. 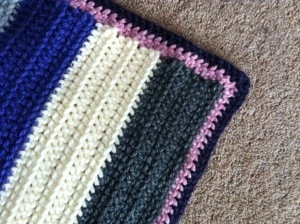 I therefore decided that I would make one for her bed in the living room. 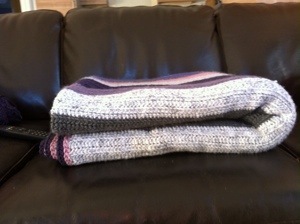 I ordered the wool from Minerva and it arrived last weekend so it set to work on the blanket. She is already showing an interest by resting her head on my lap as I crochet, hopefully this means she’ll enjoy it when it is finished. I have been somewhat quiet on the blog recently, you know how things go I’ve been very busy and although the crafting continues my blogging has taken a bit of a hit. 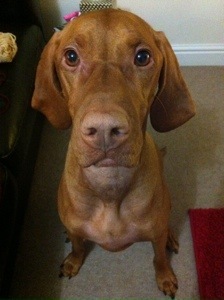 I’m on annual leave this week though so hopefully I can get my trusting photographer on side to help me catch up. I have actually nearly finished W, it is going to be close but it still feels possible to get it completed by the end of the year. It has been quite some time since I last posted about my superheroes alphabet sampler, but I have been continuing to work on it to try to make sure I get it all done by the end of the year. A few weeks ago Si and I decided to sign up for a local veg and fruit box scheme. I have been enjoying the locally grow produce and not knowing what we are getting week to week actually helps me stay interested in what I’m cooking. This week in the box we got a couple of courgettes, this is veg that Si will not eat…some veg he is not overly keen on but we still eat, courgettes however are where he draws the line. 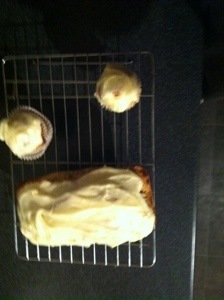 I was trying to think how best to use them up so I suggested I make a courgette cake. I used this recipe and then toped with the cream cheese recipe from my hummingbird cookbook. The cake took quite a bit longer in the oven that stated in the recipe but I think this is probably my fault for using a small loaf tin. As can be seen I had a fair bit of mixture left and made up some muffins (we had already eating a couple before the photo). The cake is really tasty, the courgettes add a nice bit of moisture. Si is enjoying the cakes too so definitely worked out as a good way to use up the veg. It is no secret that I love the Skater dress pattern by Kitschy-coo, I have already made three versions (the grey one, tiger one and flamingo one) I have now made another version but this time I mixed things up a bit by adding a cowl to the neckline. As with my grey version I added three inches to the bottom of the skirt so that it is the perfect length to wear with boots (although it is worn here with my yellow shoes). The bodice as with all the others has one inch taken from the length. 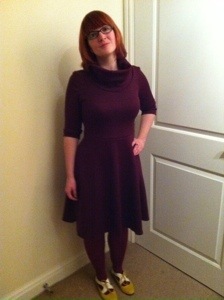 I have already worn the dress to work, it is very comfy and warm. 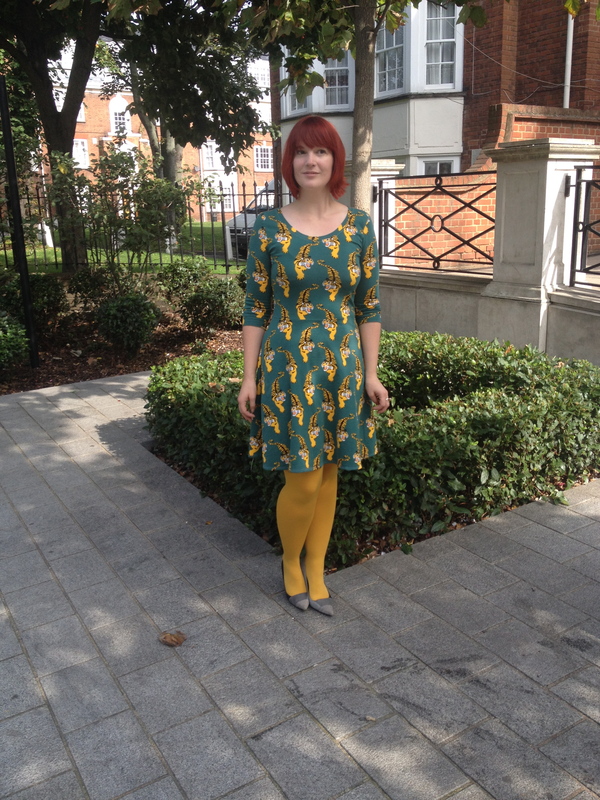 The pattern of the skater dress is so easy to wear…I love it! Back in May I started a crochet blanket, I started it the day before my exam as a self calming strategy; by giving myself something to concentrate on I didn’t get myself all wound up about the exam. 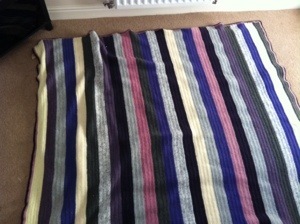 The blanket goes perfectly on our bed, we have actually been using it during the recent cold nights. 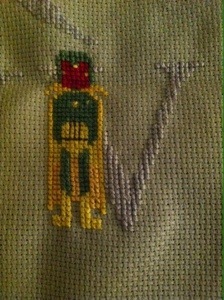 I have simply placed a safety pin in the last stitch before putting it on the bed. The blanket is wonderfully warm. Little One has taken quite a shine to the blanket, every time I have been crocheting it recently she has come and curled up on it (honest working on the blanket with a dog laying on it is not the easiest of things). 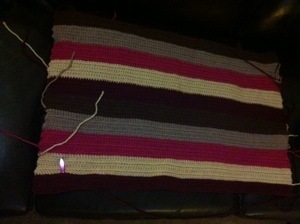 I have therefore decided that the next blanket I make will be a mini on for her…I know she is very spoilt!